When you want to express sympathy to a loved one over a recent loss, it's important to keep in mind the etiquette for funeral flowers at a cemetery. A funeral announcement can act as both a notification of a death and as an invitation to a funeral or memorial service. These announcements are typically short and informative as the following samples will show. There are many ways to pay tribute to a loved one who has passed away. From the flowers to learning how to write a tribute in the form of a eulogy or speech, each element of the funeral should be designed to truly reflect and celebrate the deceased's life. Each component of a funeral service offers a unique opportunity to honor the person who has passed. Consider what you'd like to do for each one separately, then step back and see how they work together as a whole. Use some of LoveToKnow's memorial tribute examples to guide you. It's never easy announcing the death of a loved one, but this is the first step in honoring the person who has passed. Close relatives and friends deserve a personal phone call delivering the unhappy news, but funeral announcements can be mailed to more distant acquaintances. Creating the announcement that will appear in your local newspaper's obituaries section offers an even greater opportunity to list the highlights of your loved one's life, as well as let everyone know what the funeral arrangements will be. A lovely floral arrangement for the cemetery or church service and a personal note provide another way to show your respect. You might choose an arrangement that includes the deceased's favorite flowers, or you can include flowers that have personal meaning to you. Professional florists can take your initial flower choices and make suggestions about the best ways to use them in an arrangement. They'll also take care of delivering your flowers directly to the funeral home if that's your wish. Music can really speak to the heart at a time like this. You might include your loved one's favorite Catholic hymn if you happen to know it, but there are many songs that would be appropriate to play at a funeral. If you want to include more personal music as a tribute to the deceased, consider asking a friend or relative to sing the deceased's favorite song or a popular funeral song. A remembrance or encouragement tribute poem can offer a wonderful way to express your feelings about the person who has passed. There are many poems written specifically for the passing of a mother, father or child that can be read during a eulogy, or you might even choose to write one of your own. Although the main purpose of a funeral program is to let those in attendance know the order of events, it's also a perfect place to include a tribute. Consider adding a nice photo of the deceased, and perhaps a few sentiments about what this person meant to everyone. The program can also be a good place to include a poem that everyone can hang on to as a keepsake. The eulogy is the biggest tribute of all, and it should be as personalized as possible. For example, the eulogy for an infant would focus on baby milestones and the grieving parents while a eulogy for a grandmother might detail accomplishments and speak to the entire extended family. Ideally, it should be written and delivered by someone who knew the deceased well, and should include some personal memories to which others might relate. 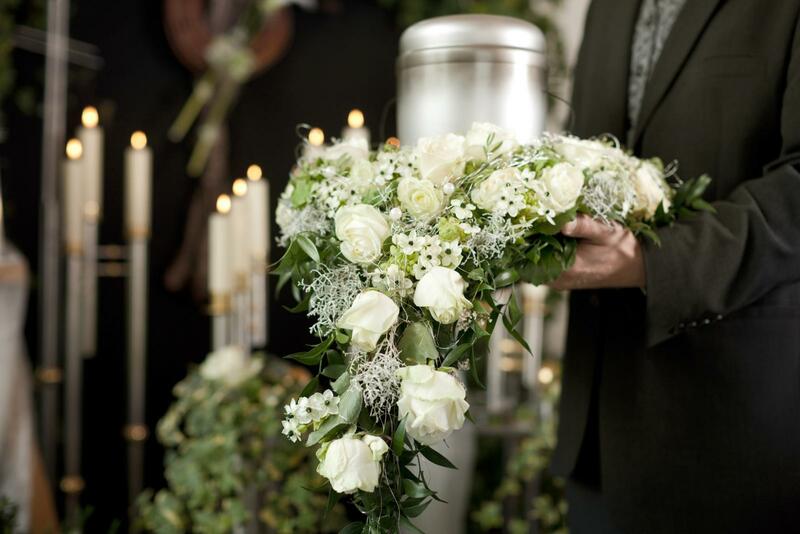 Funerals can be overwhelming for those who are grieving, so it's usually best to keep all tributes fairly simple, especially for anyone taking part in the ceremony. Rather than turning the funeral into a large production, try to keep the focus on the loved one who has passed, and comforting those who are left behind.